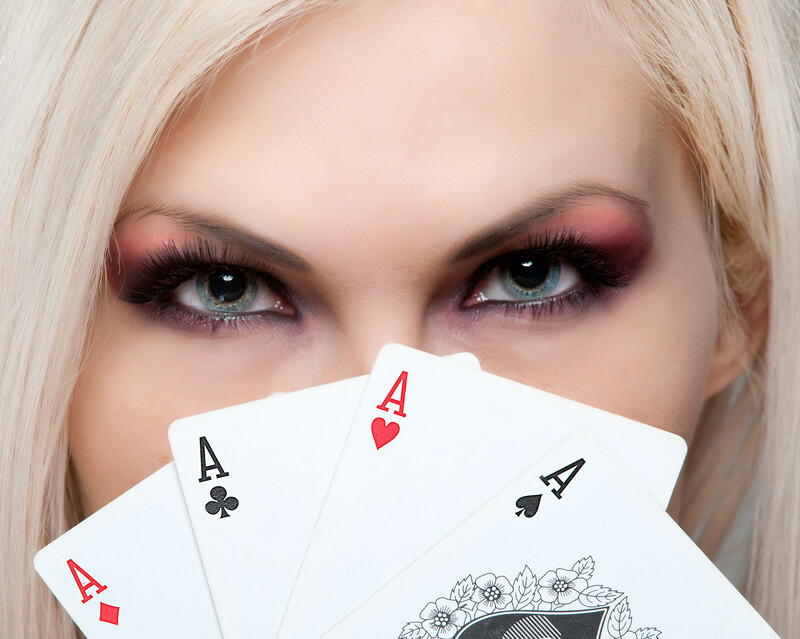 Bluffing is an important part of playing a solid well-rounded style at the poker table. If you never bluff, discerning opponents will never pay you off when you make a hand. If you bluff too often however, you will lose tons of chips in spots where you shouldn’t have been in the pot to begin with. Learning to balance your range, and learning to execute well designed and well timed bluffs will make you an unpredictable power house at the poker table. These are our tips for learning to bluff effectively. These tips were written with no-limit holdem players in mind but they will be helpful for everyone. This is an essential rule. Never bluff someone who won’t fold. If you have noticed that a particular player is frequently calling people down, don’t bluff them. The table sheriff is only dangerous if you continue speeding. The best way to beat a calling station is to play hands for value and value bet aggressively. Calling stations will pay you off with any number of mediocre hands. Find a strong top pair hand and push that hand for value. If you are considering whether or not to continue bluffing, ask yourself what hand you are representing and if it makes sense for you to be playing that hand aggressively. For instance, if you raise in early position with a medium pocket pair and you get called in late position, recognize that your hand looks as much AK as anything else. If an ace comes on the flop and your opponent decides to call, this is an excellent spot to fire a second barrel. You’re out of position, so checking basically concedes the pot, and your hand already looks like AK. Take a stab. Always remember your action on the flop if you are trying to decide what to do on a later street. Make you sure the bet you make on the river is consistent with the way you played the flop. Consider the following hand between Phil Galfond and Bill Klein, if Bill doesn’t raise with his draw on the flop, it gets much harder to represent a full house. Be cognizant of your image before you make a big bluff. The table is more likely to believe you have a strong hand if you have recently shown down a monster, or if you have being playing a reasonably conservative game. If you have recently lost a large pot, your opponents may think you are tilting and be more likely to call you down. This is usually a bad time to attempt a bluff. If you have been caught bluffing, or if you have been playing a lot of hands, if for any reason you have a loose image, be sure to factor your image into the decision before you make a big bluff. Anytime you are considering making a big bluff, you should either be pretty sure your opponent has nothing, or you should be pretty sure your opponent is capable of folding something. That is to say that if you think your opponent cannot fold an overpair to the board versus your show of extreme strength, you’re bluffing the wrong guy. Similarly, there is no point in balancing your range against someone who is unlikely to notice. If you’re table is aware of your image, then you should balance your range in tight spots. Under the gun, you occasionally want to show up with suited medium strength hands so that your opponents cannot put you on the nuts every time you raise from early position. This goes for any tight spot in poker where you would usually only bet with a very strong hand. Experience and practice are the most important tools for sharpening your bluffing skills. These tips are a great place to start, but eventually you must be able to internalize these broad points and be able to execute them without thinking. Essentially you must get a feel for when it is correct to bluff. Practice is the only way to do it. Sit down at the poker table, look for good bluffing spots, and pounce. The more you play the easier it gets.